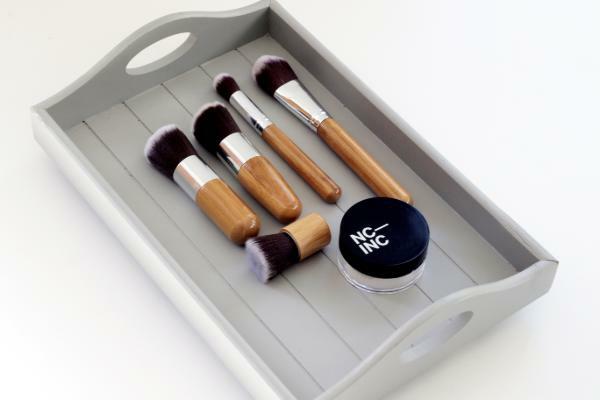 There’s no need to spend more for your makeup brush set. However, if you want something that can last longer then choose sturdy brushes that can last longer. With the right set of brushes, you can obtain a professional makeup in no time. Your makeup can last longer and you only need to use lesser cosmetics. This means that you can save more money. It is very helpful when applying foundations. 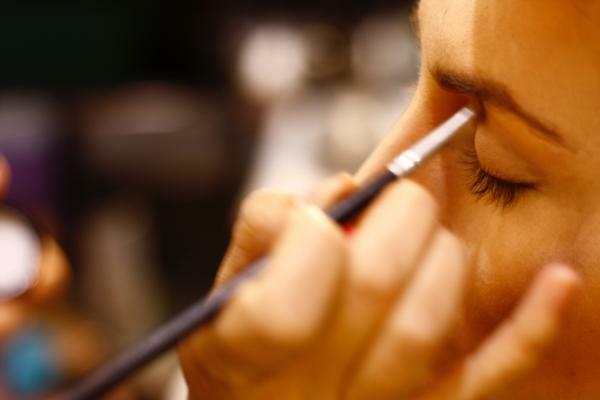 Using your fingers in applying your makeup may not provide you good results. Having the right set of makeup brush can give you a smooth and natural look. However, searching for the best makeup brushes can be hard. If you are still a beginner then you can buy the cheap ones. After all, you’re still trying to learn the techniques and you are still determining what particular brushes you really need. Once you become an expert then you can start buying more expensive brushes. When it comes to makeup brushes, there are various brands, types, and materials that you can choose from. In order to help you decide, you can take a look at our reviews of some of the best makeup brush sets. In order to get that flawless look, you need to have an amazing set of makeup brushes. 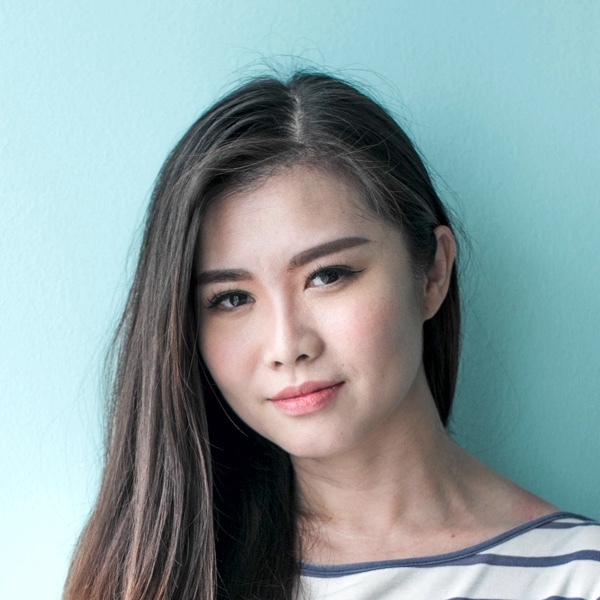 Want to transform yourself from being simple to stunning? The only way to do this is by applying makeup with the right brushes. To make your shopping easier, just check out this list of the best makeup brush sets that are available for you. E.l.f. Makeup Brush Set is our first choice. This set is composed of 12 brushes including eyeshadow brush, brow comb with a brush, lip defining brushes, eyelash with brow wand, defining eye brush, total face brush, eyeliner brush, smudge eye sponge, blending eye brush, foundation brush, bronzer brush and finally a concealer brush blush. It is made of synthetic which makes it perfect for your face and eyes. Each brush is perfectly designed to fit into your hand. It can give you a flawless makeup since it has all the brushes that you need for your eyes, lips, and face. Every brush is completely wrapped and marked by its name so you can quickly find the right brush. It has ultra soft bristles and white handle for easy use. It comes with a detailed instruction to help you with your makeup application. e.l.f. is well known in providing high-quality cosmetics and affordable prices. For our second choice, we like the Real Techniques Makeup Brush Set. It is composed of a buffing brush, a detailer brush, a pointed foundation brush, and a contour brush. It has all the brushes that you need for powders, creams, mineral makeup, and even liquids. You can guarantee that it is made of high quality since it is created by renowned celebrity makeup artist, Samantha Chapman. It is unique and affordable too. The brushes are made of synthetic so it won’t absorb the cosmetics. For precise application, each brush is handcrafted to obtain the perfect shape. Each brush has a name on it which makes it ideal for beginners. The Sigma Beauty Travel Kit is our third choice. This is best when you are traveling since it is composed of sleek brushes with shorter handles. It has seven brushes including a tapered blending brush, small angled brush, eye shading brush, eye pencil brush, foundation brush, large angled contour brush, and a large powder brush. There are a variety of colors that you can choose from. It has soft and sturdy brushes which are made of natural and synthetic fibers. Sigma Beauty brushes are built to last longer. Purchasing the whole set is much lesser compared to buying individual brushes. The SHANY 12-Piece Bamboo Brush Set is our fourth choice. This set has 12 brushes including a dual eyeshadow brush, mascara brush, lip brush, concealer brush, eyeshadow brush, blush brush, foundation brush and powder brush. It is available in a traditional setting which is available in different colors. It also has a vegan set which is in pink color. It is made of high-quality natural and synthetic bristles which are soft and sturdy. It comes with a roll-up organizer pouch for easy traveling. An illustrative instruction is included to guide you in your makeup application. It is very affordable and it won’t irritate your skin. 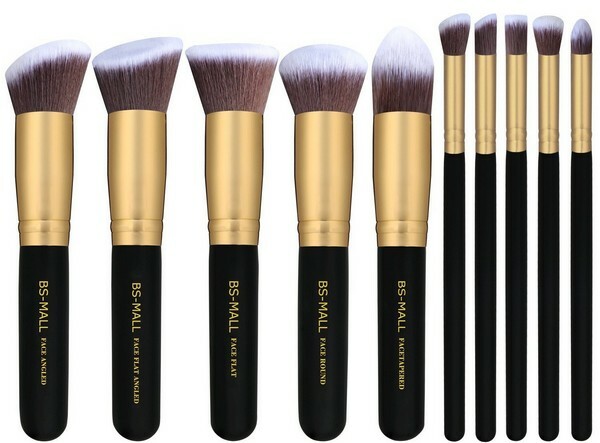 The BS-MALL Kabuki Makeup Brush Set is our fifth choice. There are a lot of affordable makeup brush sets but this one is the best. It is made of high-quality synthetic brushes. 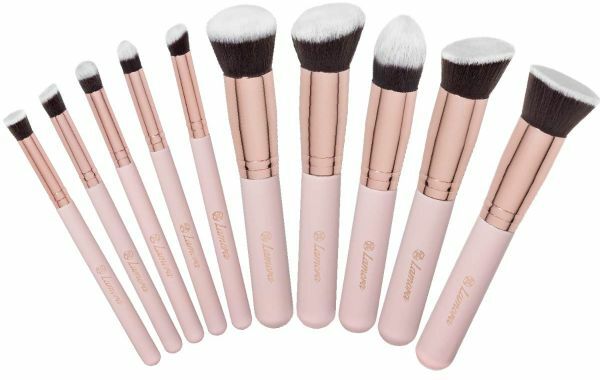 It has 10 brushes including flat angled concealer brush, tapered contouring brush, angled contouring brush, eyeshadow brush, stipple brush, flat-angled brush, concealer brush, blush and bronzer brush and foundation brush. It has everything you’ll ever need for your professional makeup look. This set is available in different colors to suit your personal taste. The synthetic bristles are ultra-soft and sturdy which is best for creams, powders, and other cosmetic products. The white tips on the brushes will permit you to see the amount of makeup. It’s also for easy cleaning. The handles are easy to use and control. It comes with a guide and manual to help you in applying your makeup perfectly. We choose DUcare 10 Pieces Makeup Brushes as our sixth choice. 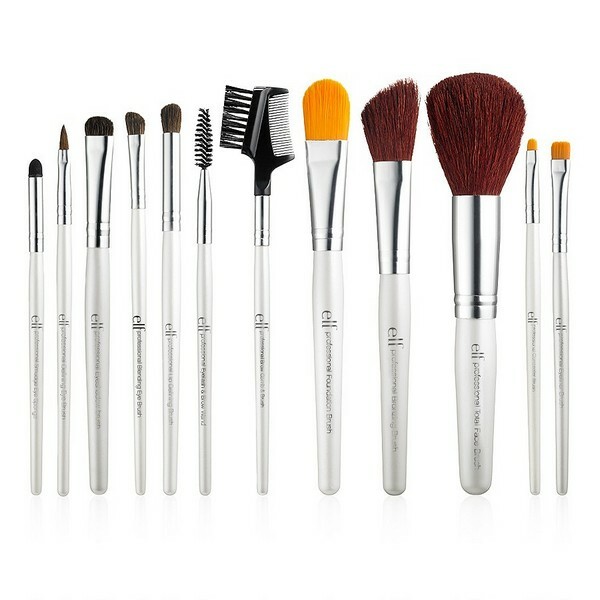 This set is composed of ten makeup brushes to help you in obtaining a fabulous look. This set is worthy of its price since it can give you the best shading, contouring, shaping and defining. You can be a pro anytime! 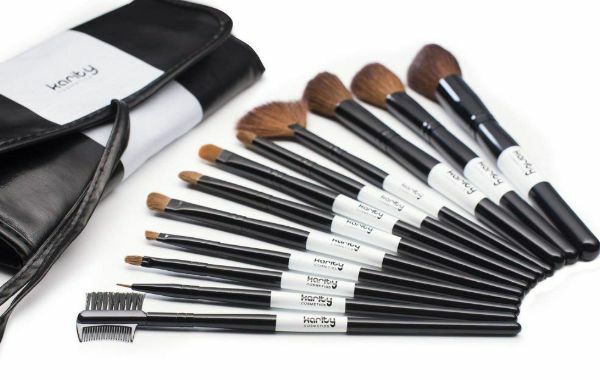 This set includes an eyeliner brush, angled eye lining brush, one sweep color brush, deep eye contour brush, mini Kabuki brush, bronzer brush, and sheer application brush. The brushes are handcrafted with natural or nylon bristles for perfect application. Includes a clutch bag for easy storage while you’re on the go. Next on our list is the Karity Cosmetics Professional Studio 12 Piece Brush Set which is our seventh choice. 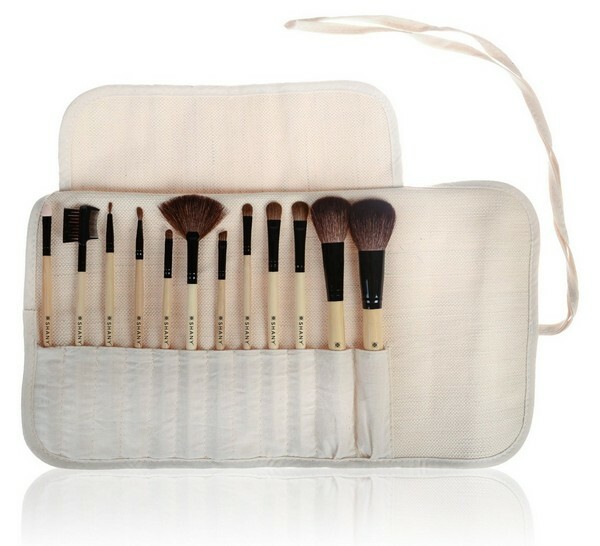 It contains twelve brushes to keep you glamorous wherever you go. Now, you can make your everyday makeup routine effective and convenient with these soft brushes. The brushes are conveniently stored in a rolled-up carrying case which is easy to pack when you’re on the go. Its ultra-soft bristles are sturdy and won’t easily get damaged. The gentle bristles are of premium quality and will not cause skin irritation. 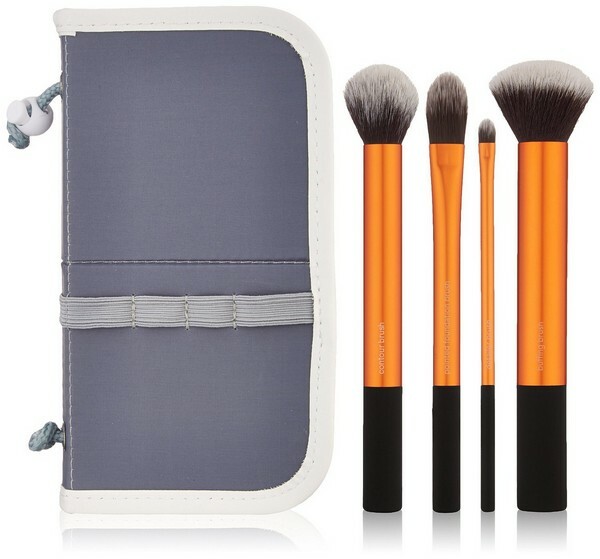 Here we have the Emax Design 12 Pieces Bamboo Handle Makeup Set for our eighth choice. It includes twelve various makeup brushes that you will need for your professional makeup look. This handcrafted superior Bamboo brush set guarantees no shedding. You can have a complete set of high-quality brushes for a lesser price. The handles are easy to hold and environment-friendly since it is made of bamboo. USpicy Professional Makeup Brushes is our ninth choice. This is a set of 32 professional makeup brushes. Great for all types of makeup: blush, blending, contouring, shading, highlighting, eyeshadow, eyebrow, concealer, and more. High-quality makeup brushes, smooth application, and comes with an exquisite box. 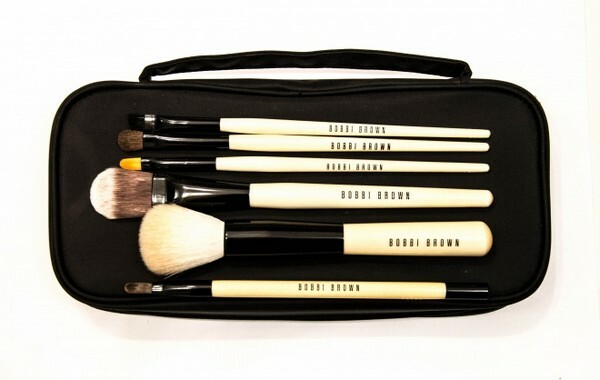 Bobbi Brown Basic Brush Collection is our tenth option. 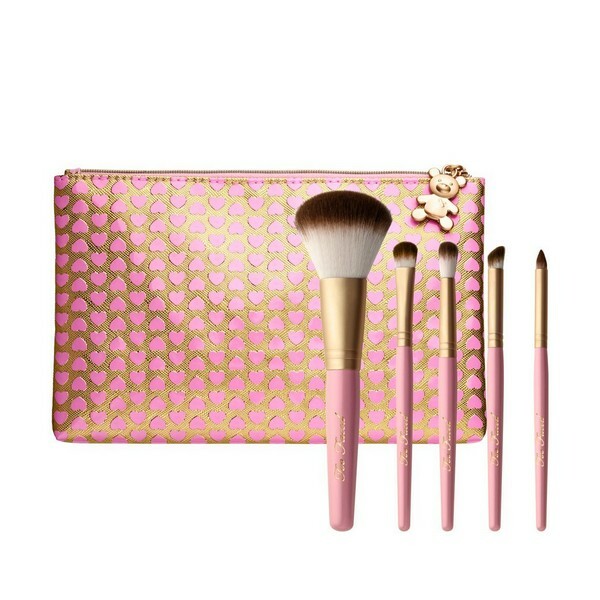 The makeup brushes in this set are the basics and are ideal if you are still starting to build up your collection. 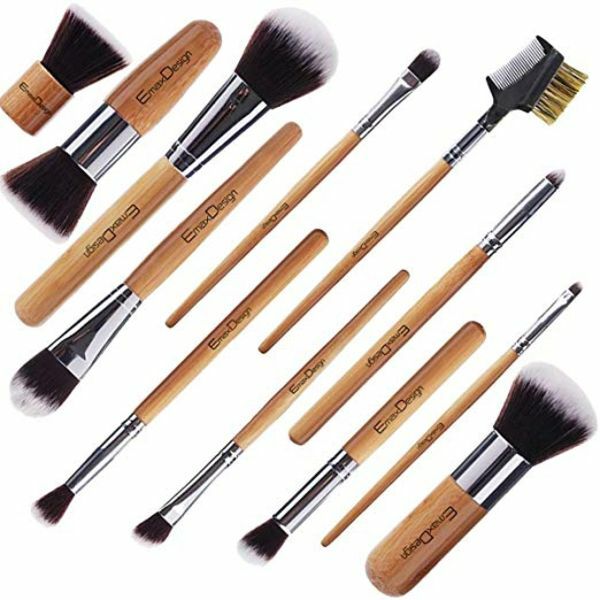 It consists of six brushes including eyebrow brush, eyeliner brush, eyeshadow brush, foundation brush, concealer brush, and face blender brush. 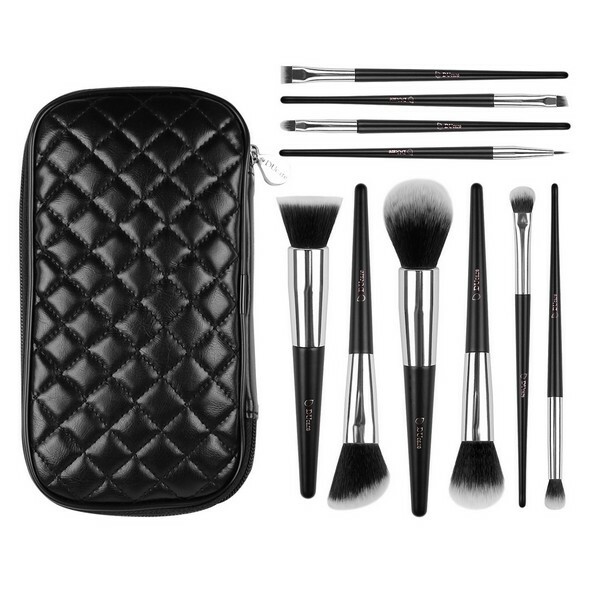 The makeup brushes are placed in a portable black case which is ideal while you are traveling. Too Faced Brush Set is our eleventh option. This Teddy Bear kit is so adorable. Each brush is made from synthetic bristles (Teddy Bear hair) which give you a super-soft feel. You can have a complete set of brushes without spending too much. Lastly, the Lamora Kabuki Makeup Set is our final choice. It consists of ten high-quality makeup brushes. 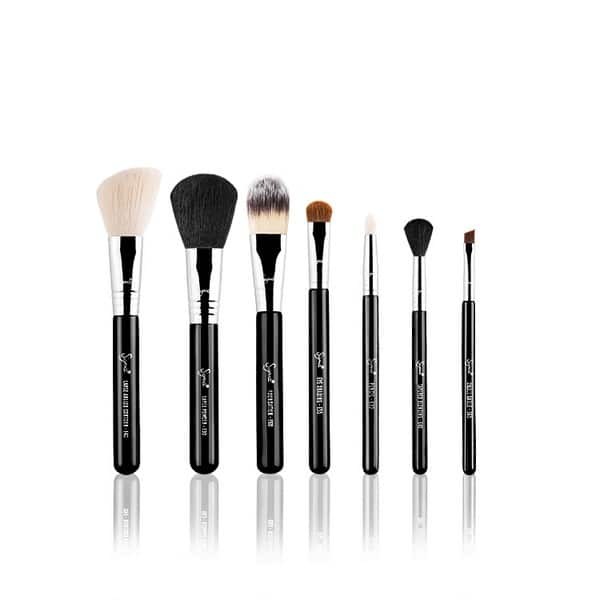 This set includes shaped brushes perfect for contouring, blending, shading, and highlighting. All the brushes are 100% cruelty free & vegan-friendly product. It is simple to clean and comes with firm copper and wooden handles. Makeup brushes are specifically designed for applying cosmetics professionally. There are different types of makeup brushes and each one of them can be used on the face or eyes. Some of these makeup brush is very accurate while others are simply made of soft bristles to give you a gentle feel on your skin. If you want to make your makeup brushes last longer then you must keep them clean all the time. You can also use a makeup brush cleaner for cleaning them. Makeup brushes are very handy and useful when you’re traveling or attending weddings and other special events, just keep them in your makeup bags. Powder Brush – The head of this brush has a round shape. It is used in applying powder gently on your chin, nose, and forehead. Blush Brush – It has a dome shape with a long handle. When applying blush, it will follow the unique contour of your cheeks to provide you with a natural look. Concealer Brush – This is a flat brush with a round head. The best brush to use are the ones with nylon bristles because it won’t soak up the makeup. Foundation Brush – Instead of using a sponge, use this brush in applying your foundation. It has a contour shape so that you can apply in tight areas around the nose and the eyes. Eyeshadow Brush – This brush has soft densely packed bristles. It is used to even and smoothen the application of your eyeshadow. Eyebrow Brush – This brush has two types. The first type has a brush and a comb while the other type is a spool brush. It is used in brushing powder into your eyebrows. Eyeliner Brush – These are tiny brushes with sharp edges. It can give you a precise application when using an eyeliner. Lip Brush – By using this brush, you can gain more control in applying your lip gloss and lipstick. It allows you to create a smooth and even application. 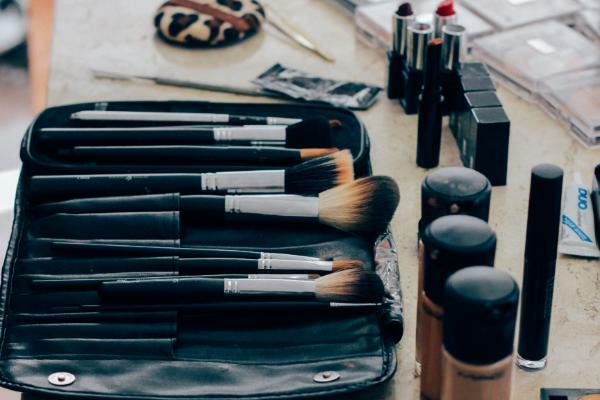 Every woman who applies makeup should have a high-quality makeup brush set. It must contain all the essential brushes needed for a professional and smooth makeup. For beginners, they can start by buying those affordable makeup brush kits. But in case you don’t have any then you can still apply makeup without using a set of makeup brushes. Just use your fingertips but make sure that your hands are clean.